Suhail Amin Patigaroo, Nisar Hussain Dar, Omar Mohammad Shafi, Sajad Majid Qazi. Background: Laryngopharyngeal reflux (LPR) refers to the backflow of stomach contents into the throat, that is, into the hypopharynx. LPR is different from classical gastroesophageal reflux disease. Majority of such patients present with globus pharyngeus, cough, foreign body sensation in throat, and hoarseness. Objectives: Conflicting results appear in literature for the role of proton-pump inhibitors (PPIs) in LPR. Our aim in this study is to evaluate the role of PPI based on their effect on reflux finding score (RFS) and reflux symptom index (RSI). 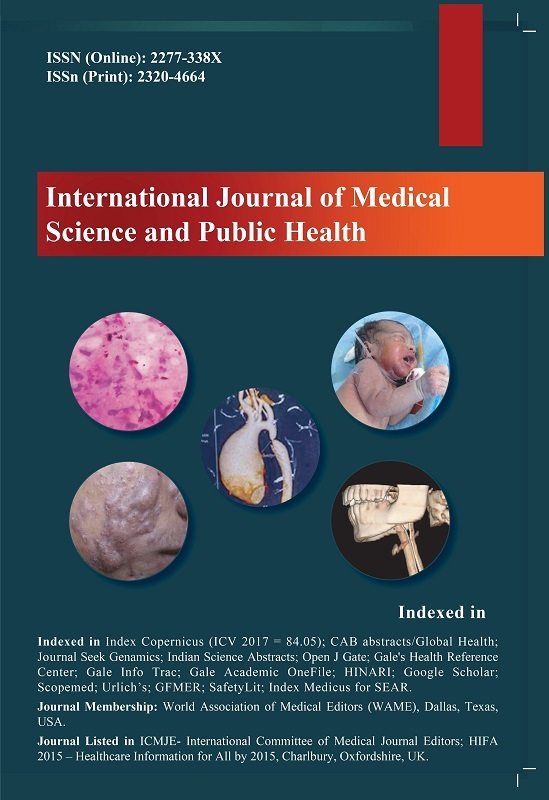 Materials and Methods: This prospective observational study was conducted in the Department of ENT and HNS of Government Medical College, Srinagar, for 3 years from 2015 to 2018. The materials for the present study were 70 patients of different age groups attending the ENT Outpatient Department (OPD) having different symptoms of LPR diagnosed on the basis of RFS >7 and RSI >13. Of them, 20 lost to follow up, and finally, 50 patients were followed as per the protocol. Patients were divided into different age groups. Results: A total number of patients included in the study were 50; 35 (70%) cases were females and 15 (30%) were males. A maximum number of patients were in the age group 31–40 years forming about 40% of the study group. Mean RSI of all patients was 24.4 before treatment with PPIs. Significant change in RSI occurred after the first 8 weeks of therapy, and no further significant change occurred in the next 16 weeks. Mean RFS of the patients was 13.2 before treatment with PPIs. There was a slight response after 8 weeks of therapy in physical findings and significant response after 16 weeks of therapy. Conclusion: PPIs are treatment of choice in patients with LPR and treatment should be continued for at least 4 months.